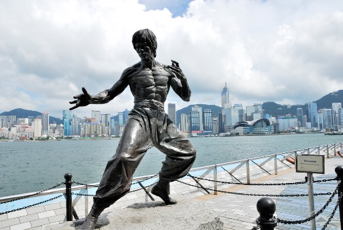 Further details of attractions in Hong Kong can be found at the official tourist board website. The best time to go is around dusk. 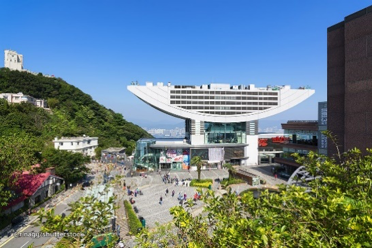 The peak can be reached by cable and there are many viewing platforms such as Green Terrace on The Peak Galleria and SkyTerrace 428 on Peak Tower. At the Peak Galleria and Peak Tower, you can enjoy the views of the whole city and taste delicious food. You can also visit Madame Tussauds Hong Kong in the Peak Tower. It is a feast of lights and music performance which starts at 8:00 pm every day. It is a memory for Hong Kong movies, which are called ‘Hollywood of the East’. Here you can see movie-related exhibits at Garden of Stars, including Movie star handprint plaques, exhibitions, a mural depicting classic movie scenes. It is the second Disneyland in Asia. Just enjoy the magic territory. 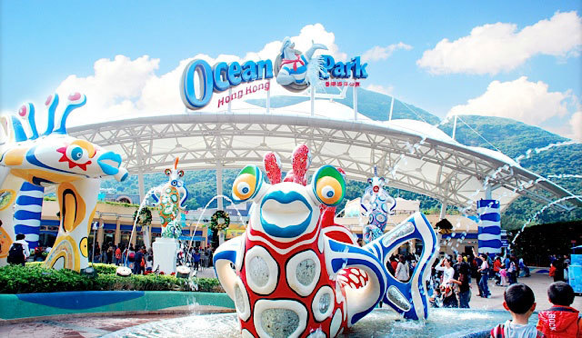 Ocean Park Hong Kong is a marine-life theme park featuring animals, thrill rides and shows. The two major attractions areas, the Waterfront and the Summit, are connected by the Cable Car and Ocean Express funicular train. Hong Kong’s party center. 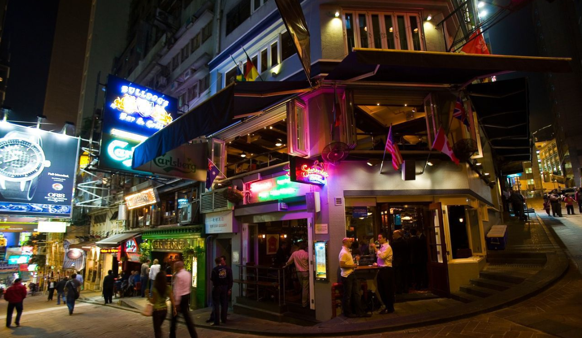 It is home to over 90 restaurants and bars, and you can enjoy the nightlife here. 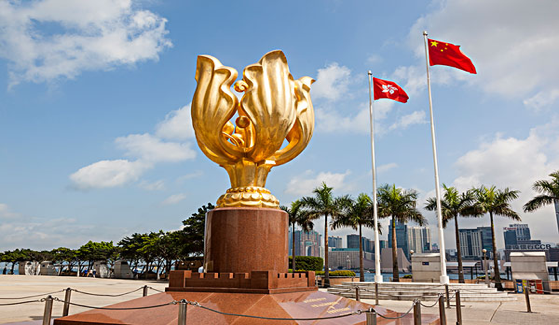 The bauhinia is the emblem of Hong Kong. The Forever Blooming Bauhinia Sculpture that gives the Expo Promenade the commonly used name, Golden Bauhinia Square, was a gift from the Central Government to mark the 1997 Handover. 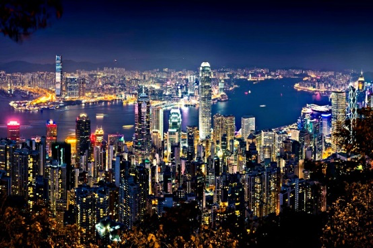 It is the largest island of Hong Kong, and there are several sights to enjoy. It is one of the world’s best cable experiences. 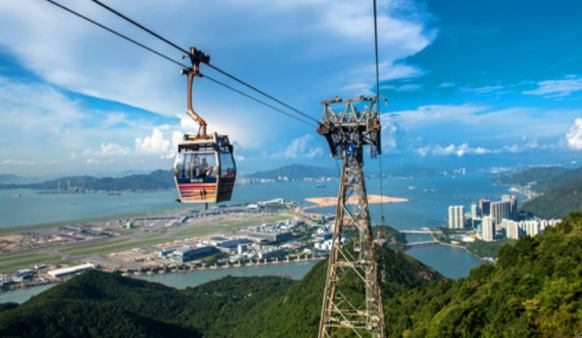 The destination of the cable trip is Ngong-ping village, where you can buy souvenirs and enjoy Stage 360, Motion 360, VR 360. Tai O is home to a community of fisher folk who’ve built their houses on stilts above the tidal flats of Lantau Island for generations. Here you can experience the traditional fisher culture and taste fresh seafood. 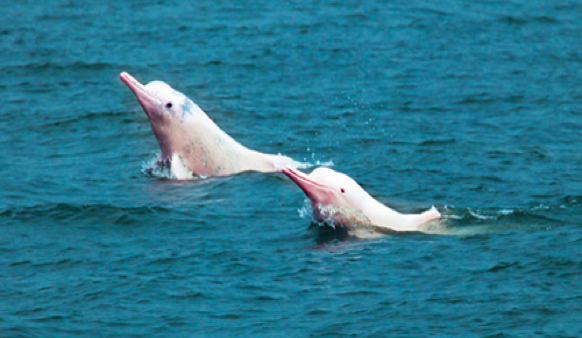 The Sha Chau and Lung Kwu Chau Marine Park in the city’s western waters has rich fisheries to provide abundant food for Indo-Pacific humpback dolphins. The boat cruise passes the scenic western shoreline of the New Territories and Hong Kong International Airport in an area frequented by fishing boats. The racing season starts in September and runs to July of the following year. You can go to the local passion for racing at Sha Tin and Happy Valley. 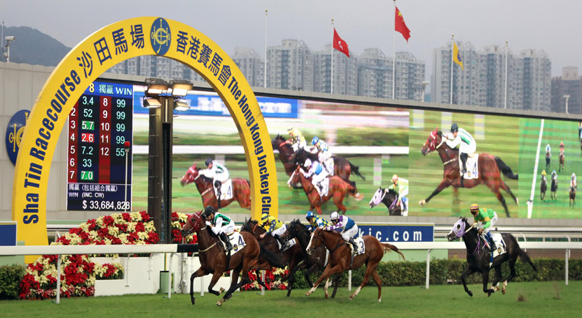 Don’t miss ‘Happy Wednesdays’ at Happy Valley Racecourse where you can enjoy night carnivals season-round alongside the thrill of live racing, with music, bites, drinks and more! The Hong Kong–Zhuhai–Macao Bridge (HZMB) is a mega-size sea crossing linking Hong Kong, Zhuhai and Macao. 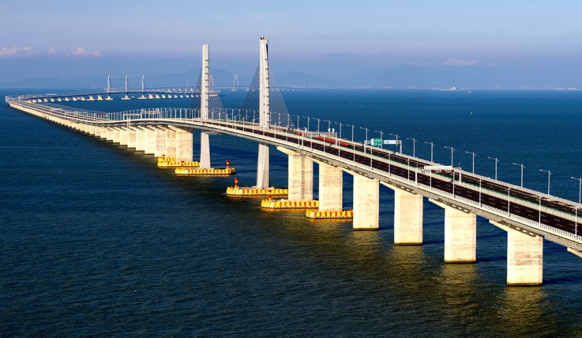 It is the longest bridge-tunnel system sea-crossing in the world, and substantially cuts the traveling time between Hong Kong, Macao and Zhuhai. Over 70 percent of the Hong Kong Science Museum’s 500 exhibits are hands-on, meaning you can literally play around with a broad spectrum of cool topics, including robotics, virtual reality and transportation. It is in an unusual egg-shaped building. There is plenty of action and toys for wannabe space explorers and closet geeks. It is a place to experience local atmosphere. Many movies were filmed here. 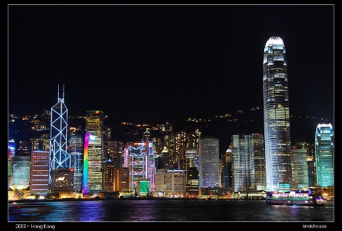 Enjoy the day- and night-time views of the spectacular Victoria Harbour on the 60-metre-high Hong Kong Observation Wheel. The temple consists of traditional Chinese architecture with red pillars, a gold roof with blue friezes, yellow latticework and multi-colored carvings. Most of the visitors come to the temple in search for a spiritual answer via a practice called kau cim. The museum is divided into 12 exhibition galleries, each expressing the culture and arts of Hong Kong and the nearby South China region. It is the world’s only full-size replica of Noah’s Ark, and it also has activities and exhibits that explore the unique history and culture of Ma Wan. 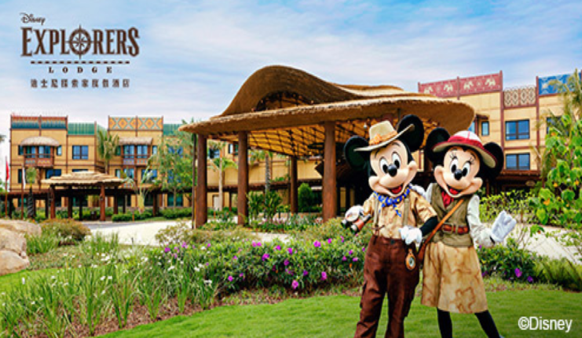 You can enjoy a blend of traditional Chinese island culture and Western atmosphere. Cheung Chau’s temples, seafood restaurants, beaches and even a pirate’s hideout make it an interesting getaway all year round.